Former Ravens running back Ray Rice has won his appeal and been reinstated to the NFL. The judge who made the ruling in the case believed Rice did not lie to the NFL during a meeting with commissioner Roger Goodell in June. "I find that the NFLPA carried its burden of showing that Rice did not mislead the Commissioner at the June 16th meeting, and therefore, that the imposition of a second suspension based on the same incident and the same known facts about the incident, was arbitrary," Judge Barbara Jones wrote in her decision, which was obtained by ESPN. 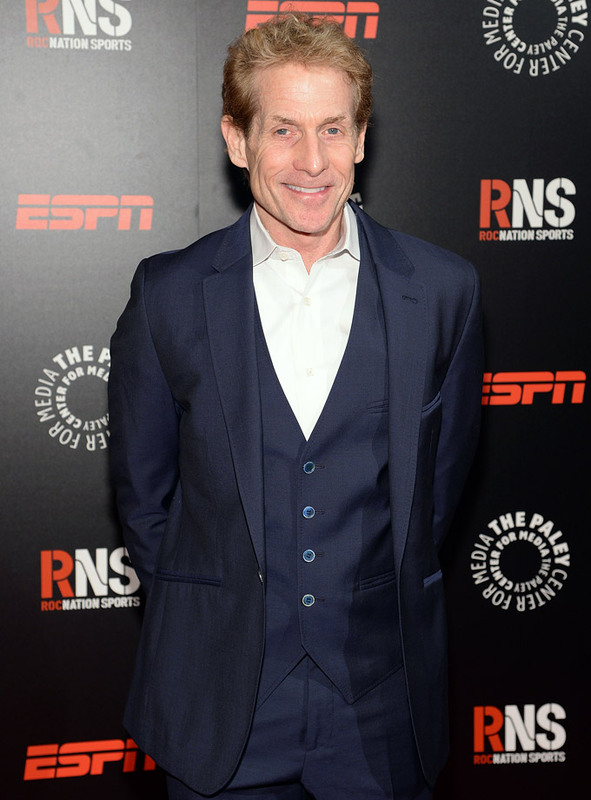 The commissioner of the nation’s mightiest, most popular league brought down the wrath of the public and, unthinkably, major sponsors with his tepid handling of the Ray Rice domestic abuse case despite its damning and horrifying video evidence that he may or may not have seen. Goodell’s subsequent press conference was widely ridiculed for vague, ambiguous ramblings that surely made politicians everywhere envious. What pressure? 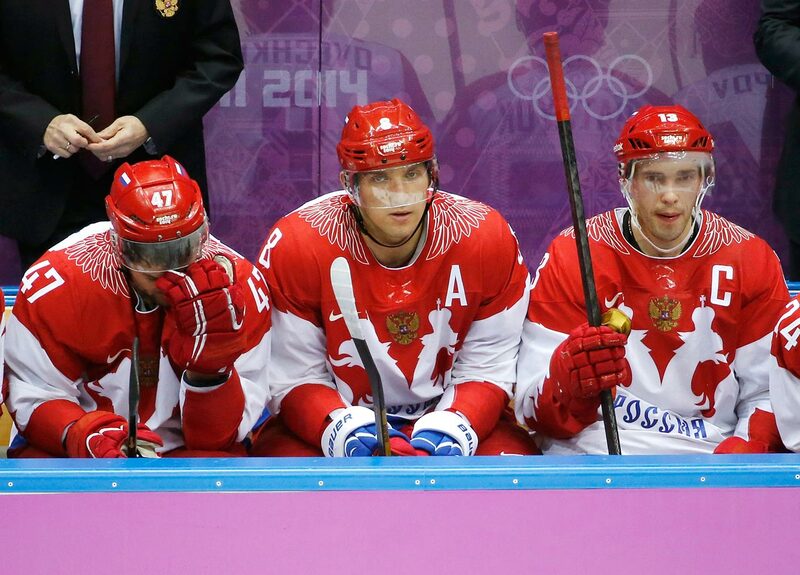 The 2014 Sochi Winter Games cost Russia a reported $51 billion, making them the priciest Olympics ever. But President Vladimir Putin believed, and many in the host country agreed, that it would be worth every ruble if the men’s hockey team, spearheaded by Alex Ovechkin, were to win the gold, something it hadn’t done since 1988. There would be no such glittery result, though, as a 3-1 quarterfinal loss to Finland doused Russia’s hopes of a medal of any kind. No team has seen more success in the World Cup than the Selecao Brasileira, which has won five championships. This year the whole tournament was brought home, for the first time in 54 years, setting the stage for another shining moment in Brazil’s soccer history. But an own goal put the hosts behind in their opening match, setting an ominous tone. 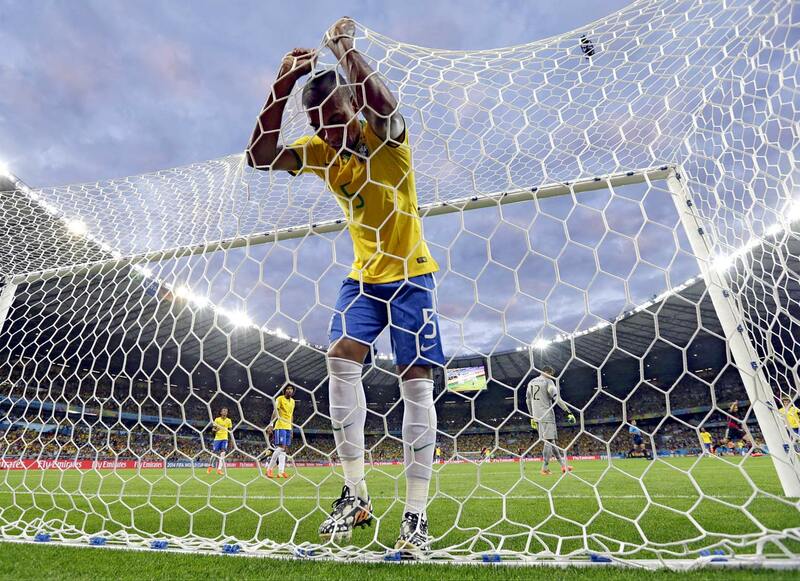 Brazil fought its way to the semifinals, where it was crushed by Germany, 7-1, in a mind-boggling blowout. Demoralized, the Brazilians fell to Netherlands, 3-0, in the bronze medal game. 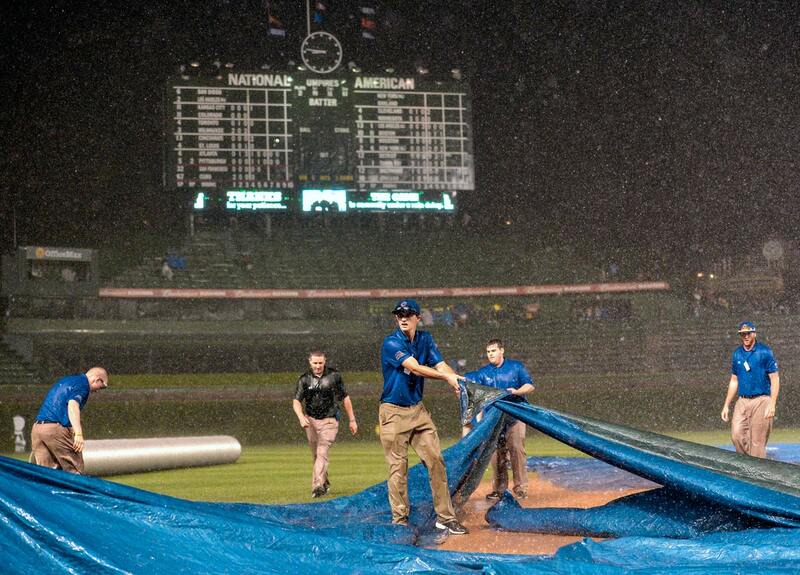 The low comedy of their grounds crew’s struggle to put the tarp on the field during an August game was yet another prime example of Cubness. By October, the franchise’s World Series drought had been extended to 107 years by a dreary 73-89 season that saw the team end up in the cellar of the NL Central. Manager Rick Renteria was shown the door, one year after Dale Sveum was booted. Enter ex-Rays skipper Joe Maddon, who becomes the seventh man in the past 10 years to be tasked with doing the impossible: making the Cubbies champions. 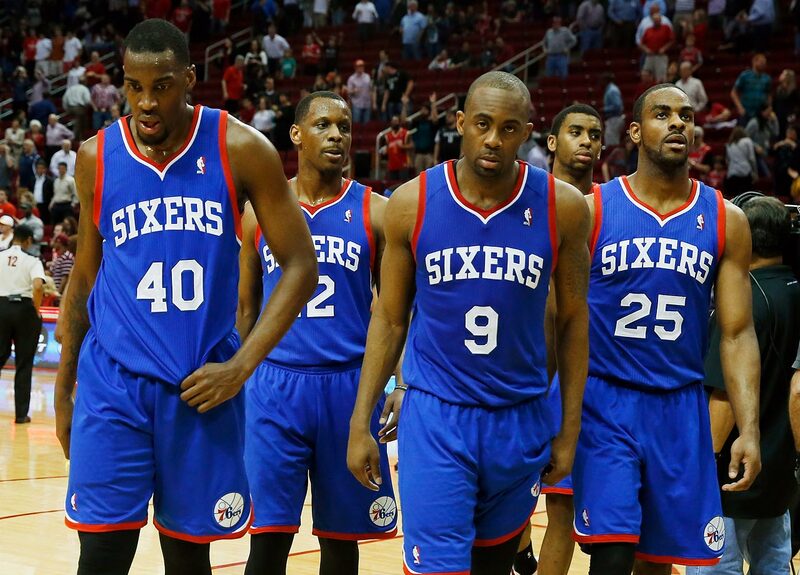 The NBA’s most god awful team finished last season with an abysmal 19-63 record. While starting the 2014-15 campaign 0-14, a final mark of 0-76 didn’t seem farfetched, and Philly’s ineptitude prompted Eric Bledsoe of the Suns to opine that the Kentucky Wildcats could beat the Sixers in a series. “I think Philly would probably get maybe one game,” he said. When Kansas hired him as head coach in 2011, he was being paid severance by Notre Dame, which had signed him to a 10-year contract extension in ’05 but let him go four years later. 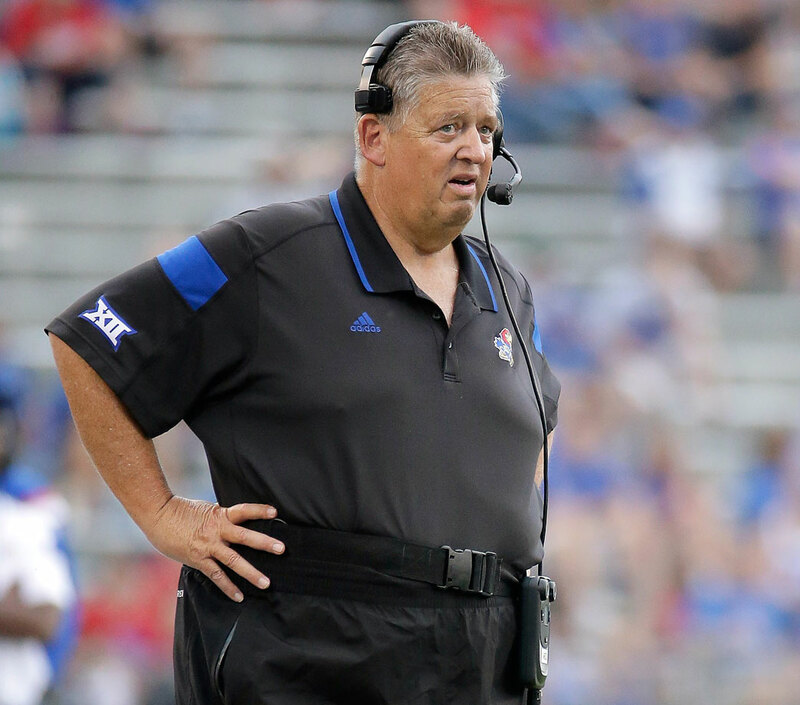 Now the Jayhawks are paying Weis to not coach, too, after making him the first one fired this season, just four games into his third year of a five-year contract. Kansas was 6-22 during the Weis era (error? ); 1-18 in the Big 12. Nice non-work, for an estimated $26 million, if you can get it. When the striker sunk his prominent teeth into Italy defender Georgio Chellini’s shoulder during their World Cup match, FIFA promptly handed Suarez the longest ban in the tournament’s history: the rest of Cup play and nine games into the Premiere League season (The Guardian noted that Liverpool has suffered without “their brilliant swine”) while lightening his piggy bank by $103k. Considering that it was his third such incident, he might have warranted a sanction with even more, um, bite. 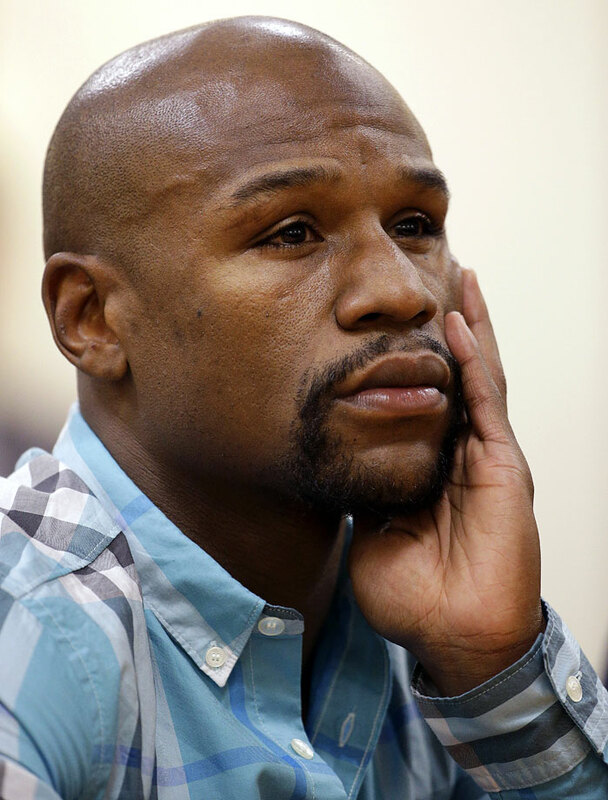 No pictures, says Mayweather, means that nothing happened -- none of the violence against women he’s been accused of on several occasions, and in one case convicted and jailed. So what you’re saying, “Money,” is that if the cameras weren’t rolling at ringside during your 47 pro fights, your record would be 0-0 because, you know, no pictures, it didn’t happen. Now, that wouldn’t sell on PPV. After missing the playoffs for the 13th time in the past 14 seasons, these mangy Cats fired interim coach Peter Horachek, hired Gerard Gallant as their new bench boss, and went on drawing crickets and owls to arena BB&T Center. An announced crowd of 7,311 on Columbus Day seemed a bit generous. Meanwhile the team’s ongoing financial woes and the frosty reception of local Broward County to its requests for assistance have forced the NHL to continually deny that the franchise would be moved, possibly to Las Vegas. 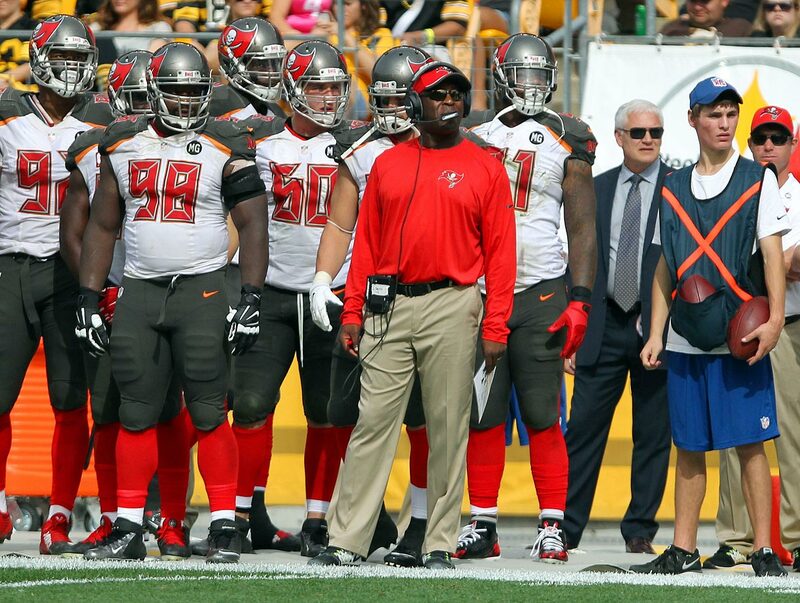 At least coach Greg Shiano, fired after the team went 4-12 last season, got the Bucs defense to play hard while opponents were in victory formation. Now this ugly team has been outfitted in uglier new uniforms and the Lovie Smith era is off to a 2-9 start, with both wins coming on the road. 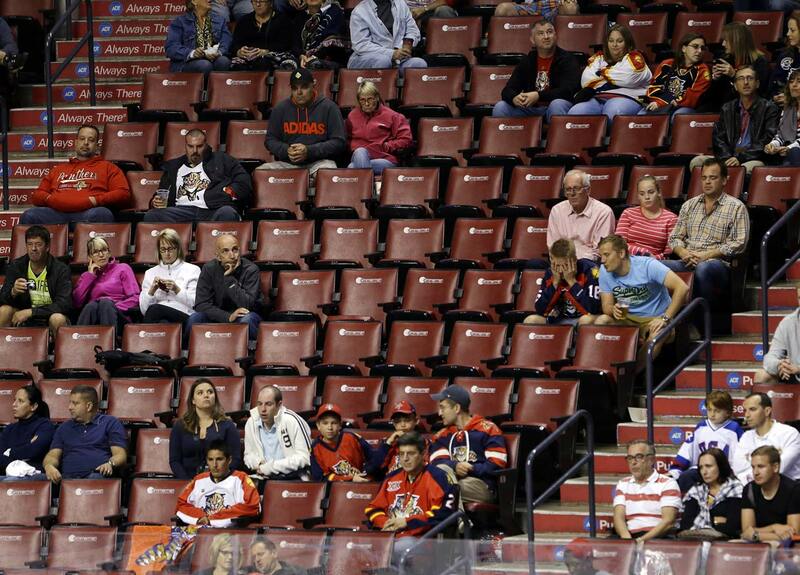 Not much for fans to cheer for in Tampa. The fiery coach was given the heave-ho after one tumultuous season that included a fracas with Calgary’s Bob Hartley that spilled over from the rink to the hallway. 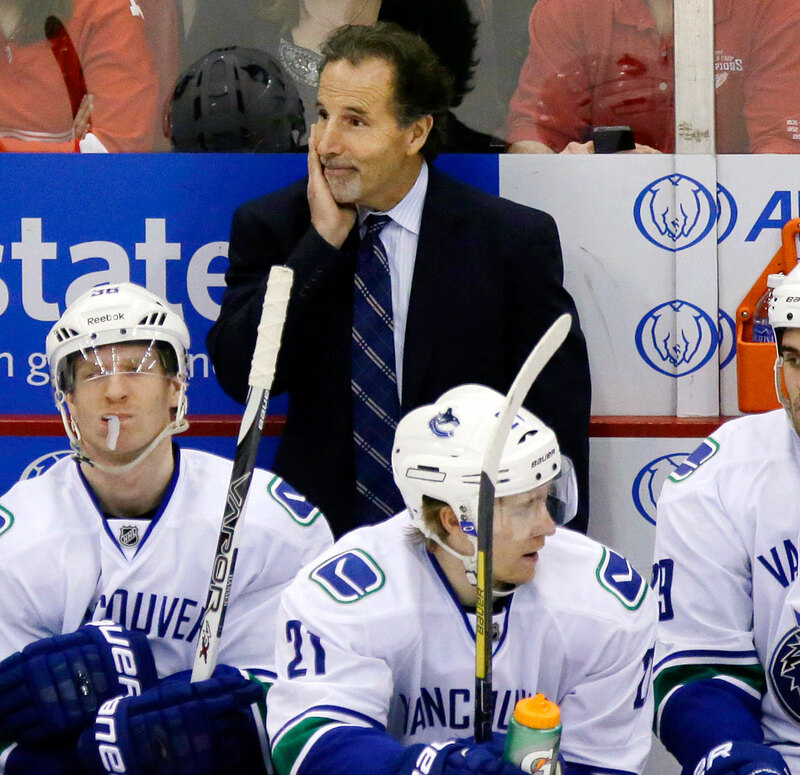 Tortorella was suspended for 15 days, a blessing for his beleaguered team, which ultimately missed the playoffs for the first time in five years. Meanwhile the man Torts replaced, Alain Vigneault, was guiding Torts’ former team, the Rangers, to the Stanley Cup Final. The sordid saga of baseball’s most infamous snitch continued as he shot his middle finger off while cleaning his gun and later concocted a tale that the surgically reattached digit had fallen off during a poker tournament. On a more serious note, he also allegedly threatened to kill his fiancee, who launched a rather unflattering Twitter barrage announcing that she was leaving him and returning to L.A.
Aaron Rodgers not only plays better than most in the NFL. He celebrates better, too. 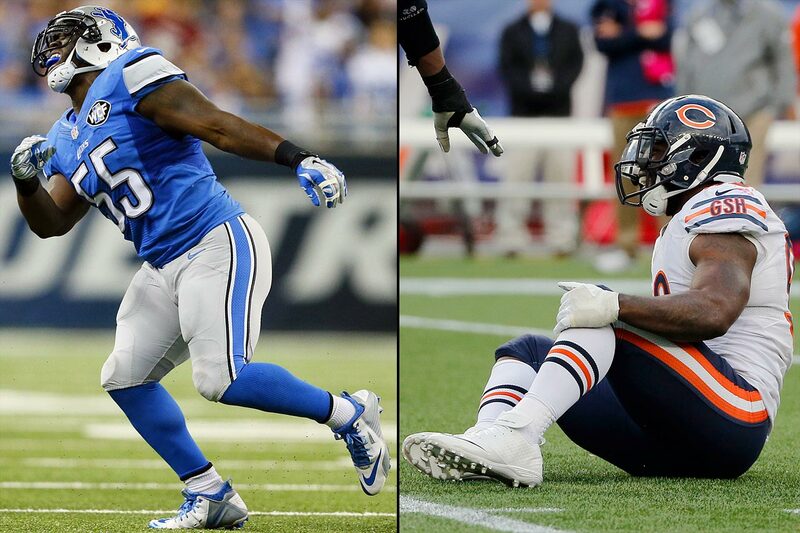 Both Stephen Tulloch of the Lions and Lamarr Houston of the Bears tore an ACL while exulting over sacks with a version of Packers quarterback’s championship-belt celebration ... which, ironically, has become associated with an insurance company. 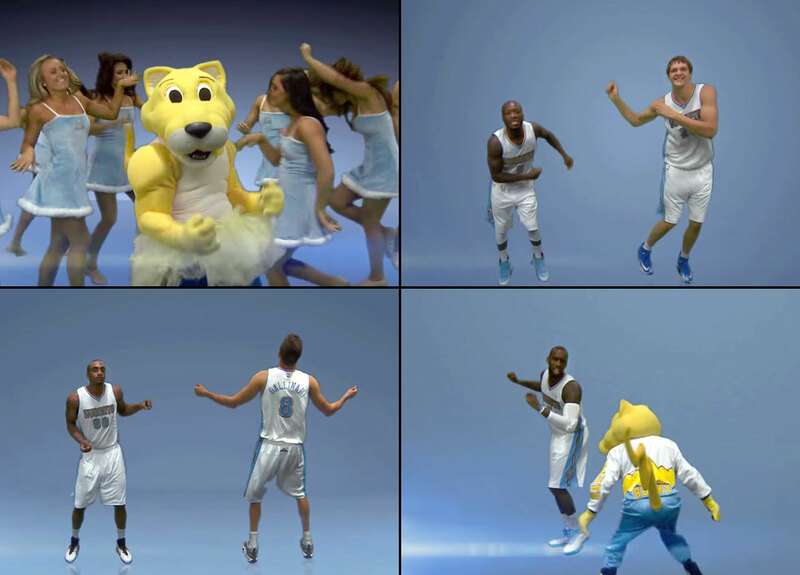 We’re all for a good parody, but the Nuggets’ stab at Taylor Swift’s “Shake It Off” was nuthin’ but pain. The English violinist struck a sour note in November when she was handed a four-year ban by the International Ski Federation for allegedly qualifying for the Sochi Winter Games by competing in four Grand Slalom races in Slovenia that were fixed to ensure her entry in the Olympics. Five officials were suspended. She shouldn’t have bothered. 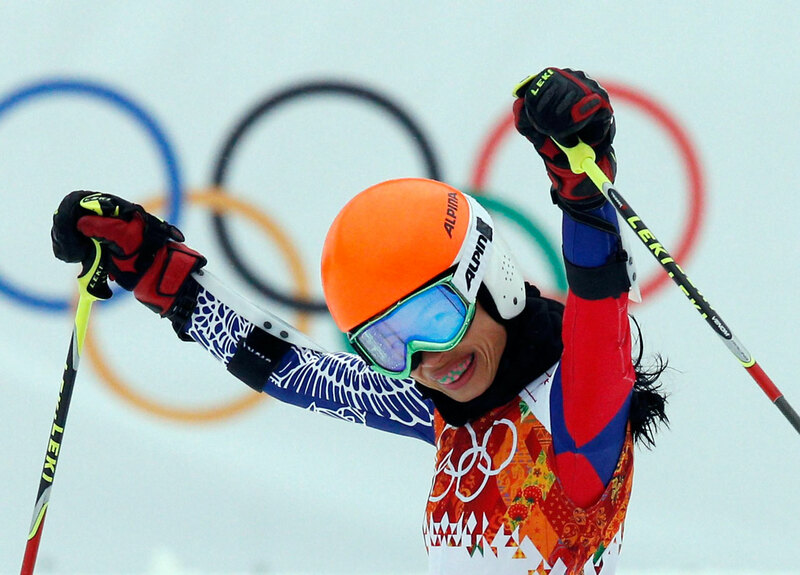 Mae finished 67th and last in the event in Sochi. 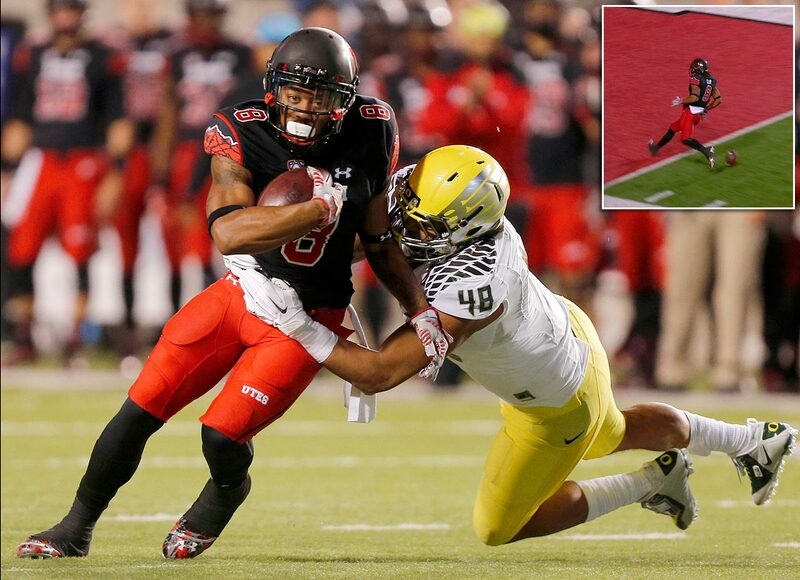 The Utah wideout was on his way to a sure 79-yard TD against Oregon when he laid an egg -- in the form of the football -- two yards shy of the goal line before crossing it. While Clay and his teammates whooped it up, the Ducks realized the ball was live and, after a brief scrum, returned it 100 yards for the score that cut Utah’s lead to 14-7. Oregon went on to win, 51-27. 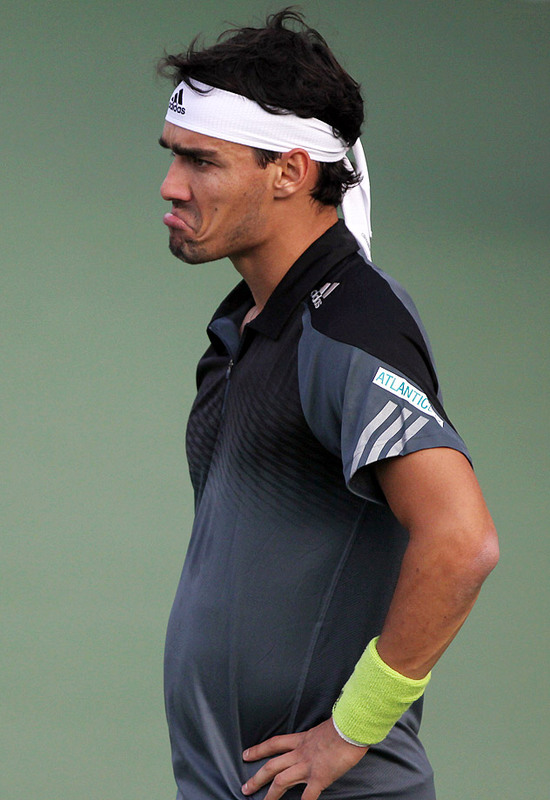 Tennis’ tantrum king added another unsightly entry to his ledger of misconduct by flipping the bird at the crowd during the Shanghai Masters. Fognini had suffered a first-round loss to 553rd ranked wildcard Wang Chuhan that inspired him to also throw a water bottle at the crowd and push Wang aside while he was shaking hands with the umpire. 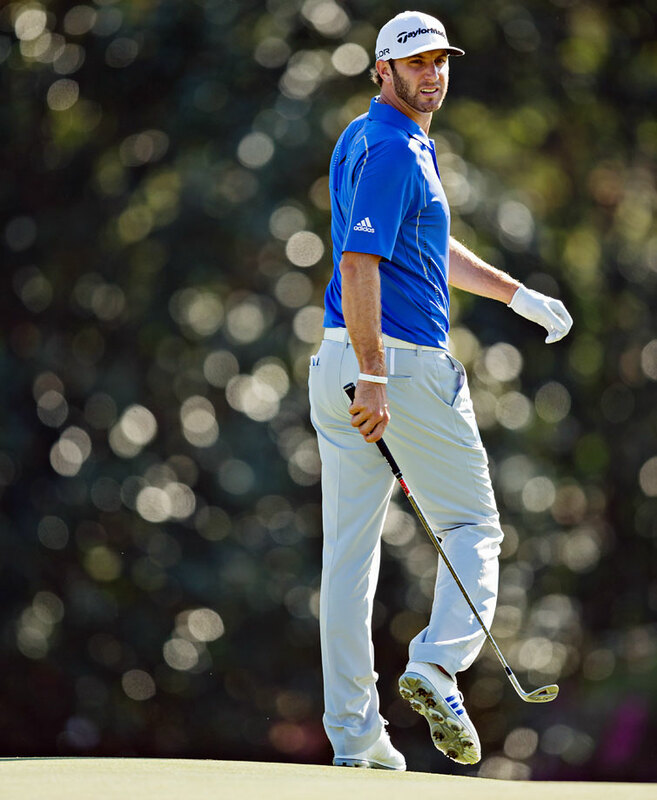 A failed drug test and rumors of overhearty partying cost Paulina Gretzky’s fiance a spot in the Ryder Cup and PGA Championship as well with the threat of a six-month suspension. Johnson, whose past resembles a checkerboard, took a leave of absence to get himself together and sue his attorneys for allegedly stealing $3 million and threatening to air his dirty laundry when he asked for it back. “Rebuilding since 1969” was the slogan on the banner towed by a plane over MetLife Stadium as the hapless Jets were, ironically, beating the Steelers to up their record to 2-8. 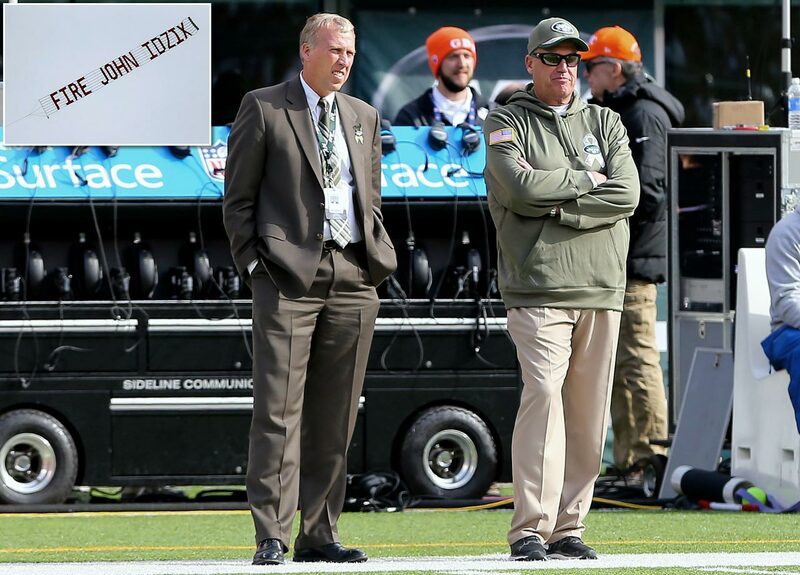 Several days earlier, an airborne banner over Gangrene’s, er, Gang Green’s practice facility had called for the firing of GM John Idzik, whose head seems sure to roll after the season, along with coach Rex Ryan’s. 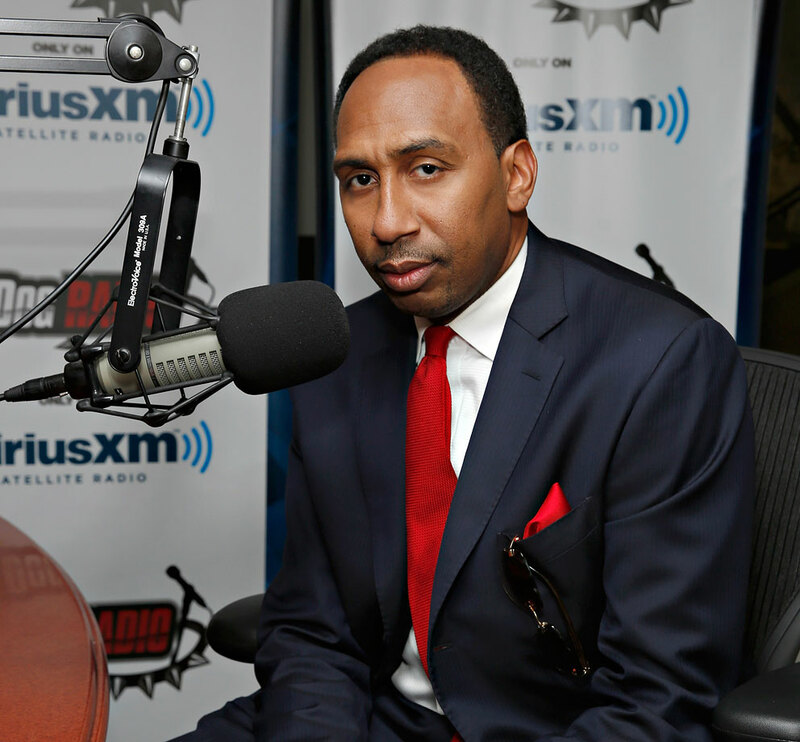 The “First Take” co-host dropped a dumb bomb on the air when he said that Kobe Bryant’s 2003-04 sexual assault case in Colorado gave the Lakers star some “edge” and “a little bit of sizzle” that boosted his marketability as a sneaker pitchman. Co-host Cari Champion was rightfully appalled. Bryant actually lost endorsements in the wake of the ugly allegations. In one of the year’s more charming gestures, the Phillies closer grabbed his crotch in response to a chorus of boos from Philly faithful after he blew a three-run lead and a save in a September game at Citizens Bank Park. MLB was not amused and Papelbon was handed a seven-game suspension and an undisclosed fine. 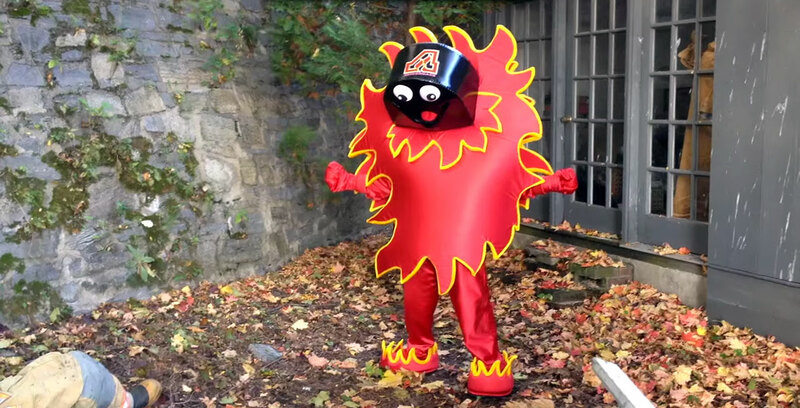 The AHL’s Adirondack Flames were forced to snuff their new mascot after his debut video in October depicted him killing a firefighter. The team issued an apology and team president Brian Petrovek vowed that the Flames’s next mascot would be associated with fun, not fear … or pyromania. 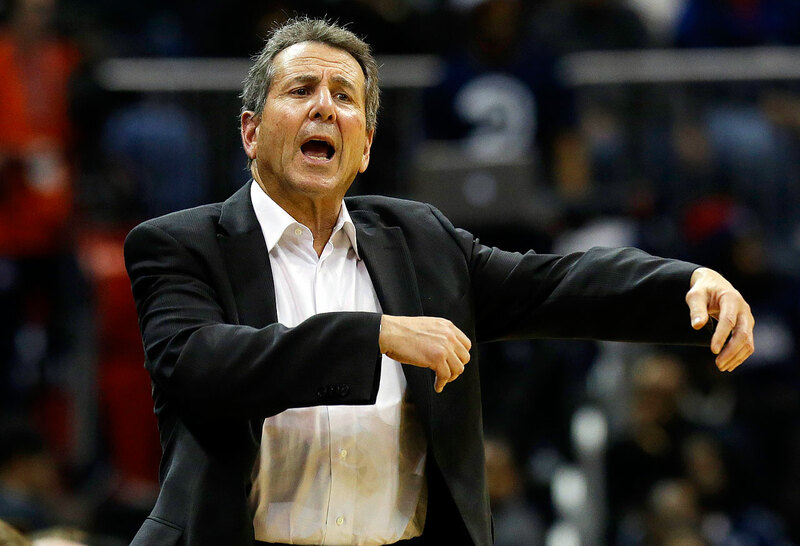 Taking a page from Donald Sterling’s foul book, the Atlanta Hawks owner was given a ticket out of the NBA after a business memo he issued in 2012 was revealed. In the offensive document, he complained that the team’s season ticket base was too small because the crowd, cheerleaders and arena music have been mainly black and that scares affluent whites away. 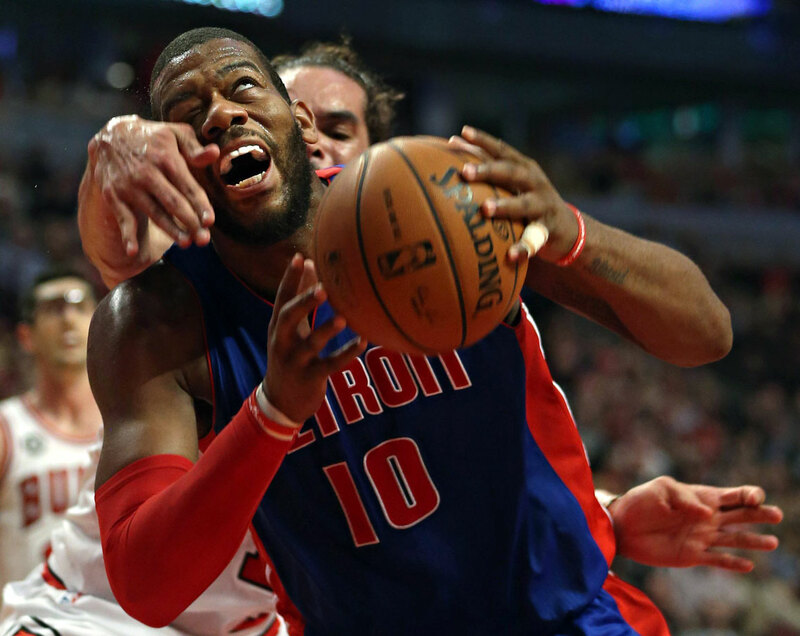 The Pistons forward pled guilty to a DWI charge filed last April, the indignity of his transgression magnified by a report that he wet his pants during the booking process. Monroe was suspended for two games in the wake of his September plea. 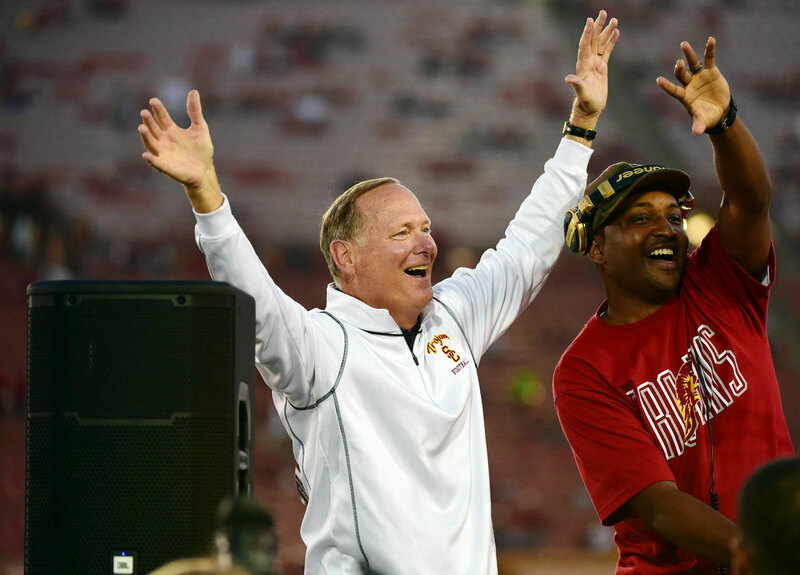 USC’s athletics director was relieved of $25,000 by the Pac-12 after he angrily bolted from the press box to the sideline to confront an official during a September game against Stanford. Head coach Steve Sarkisian, who’d been bickering with the refs, received a reprimand for inciting his boss, who suspended himself for two games. “Such actions by an administrator in attempt to influence the officiating, and ultimately the outcome of a contest, will not be tolerated,” Pac-12 Commissioner Larry Scott rightfully stated. 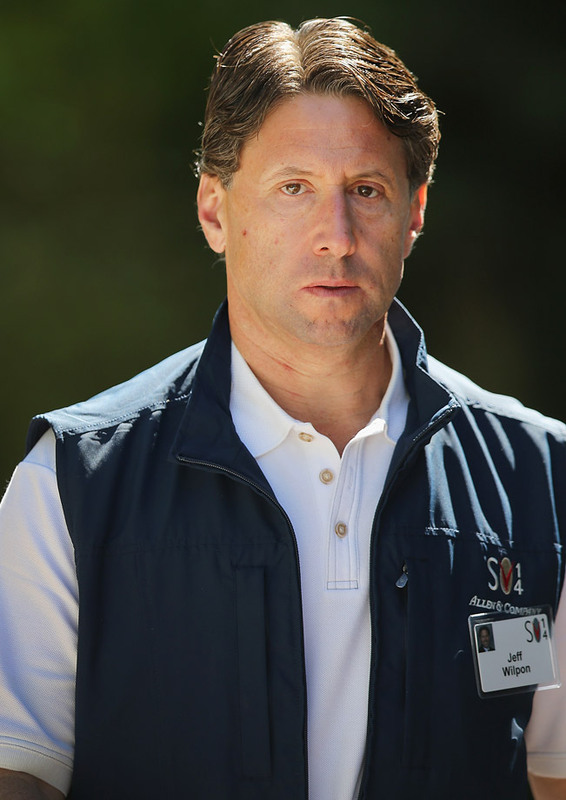 The beleaguered Mets COO, son of owner Fred Wilpon, presided over the debt-ridden team’s eighth straight season without a playoff appearance, one in which its “Why I’m Mets Twitter campaign “Why I’m a Mets fan” backfired with predictable results. He also became embroiled in an ugly gender discrimination suit that claims he berated, harassed and fired a senior executive for having a baby out of wedlock. 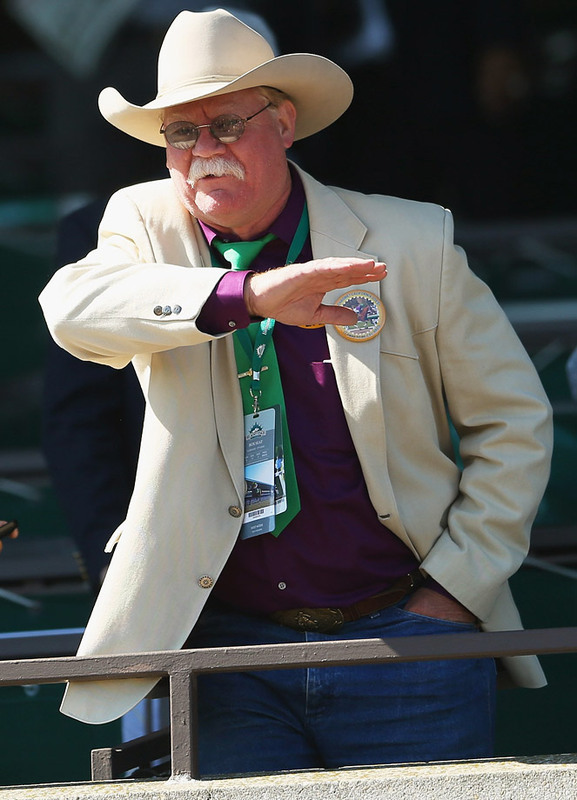 When California’s Triple Crown bid was foiled in the Belmont Stakes in June -- the ninth time since 1997 that a colt has fallen one win shy -- owner Steve Coburn showed the world which end of the horse he embodied. He griped that entry to the Belmont should be restricted only to horses that had run in the Kentucky Derby and Preakness, but the last three winners of the Crown -- Affirmed (1978), Seattle Slew (’77), Secretariat (’73) -- and others had not trouble with fresh-legged entries. Florida State’s reigning Heisman Trophy winner became an ongoing farce with a string of unsavory incidents ranging from pilfering crab legs from a supermarket to getting suspended for half a game against Clemson after shouting out an obscenity from atop a table in the student union to shoving an official (an act that merited an ejection) during a game against Boston College. Meanwhile, his draft stock continues to wobble precariously. The Boston bruiser blackened sportsmanship’s eye by uttering a death threat (“I’m going to effing kill you next year”) against Dale Weise of the Canadiens in the handshake line after the Bruins were bounced from the playoffs by their arch-rivals. 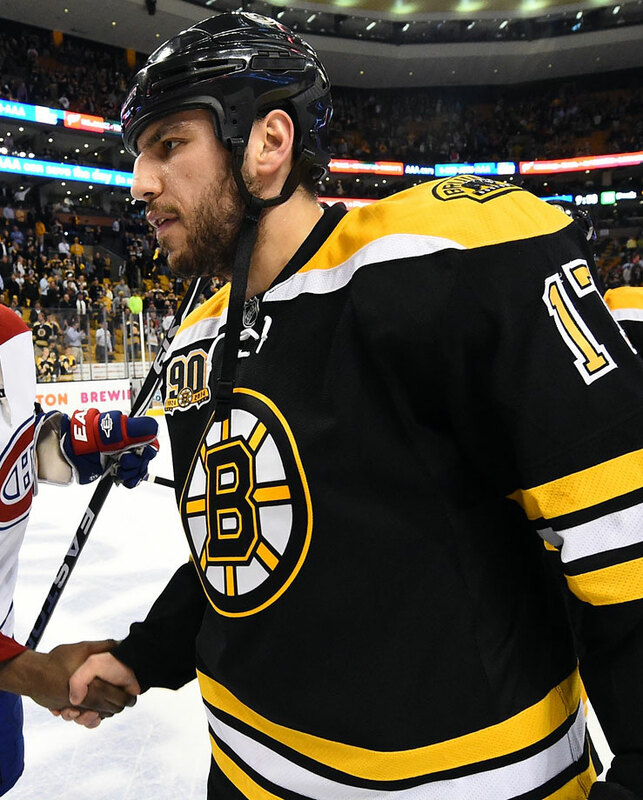 Upon his first appearance of the season in Montreal, Lucic burnished his dignity by making an obscene gesture at the fans and getting himself fined $5,000. 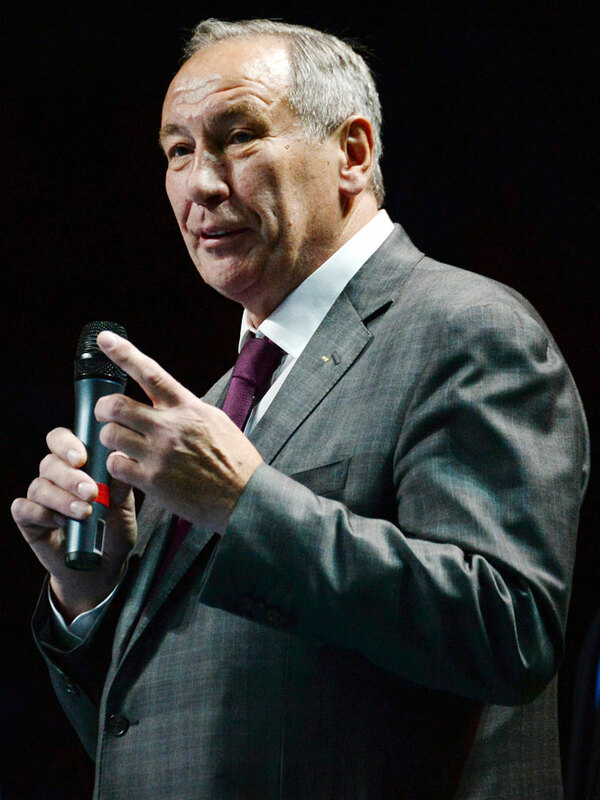 The president of the Russian Tennis Federation was docked $25,000 by the WTA for questioning the gender of the Williams sisters, who he called “the Williams brothers” during an October appearance on his country’s late night TV show “Evening Urgant.” Tarpischev protested that, heh heh, he was only joking, but the WTA sought to have him booted from his post. Toting the longest ongoing Stanley Cup drought by a non-expansion team, the NHL’s first billion dollar franchise remained a clown show. 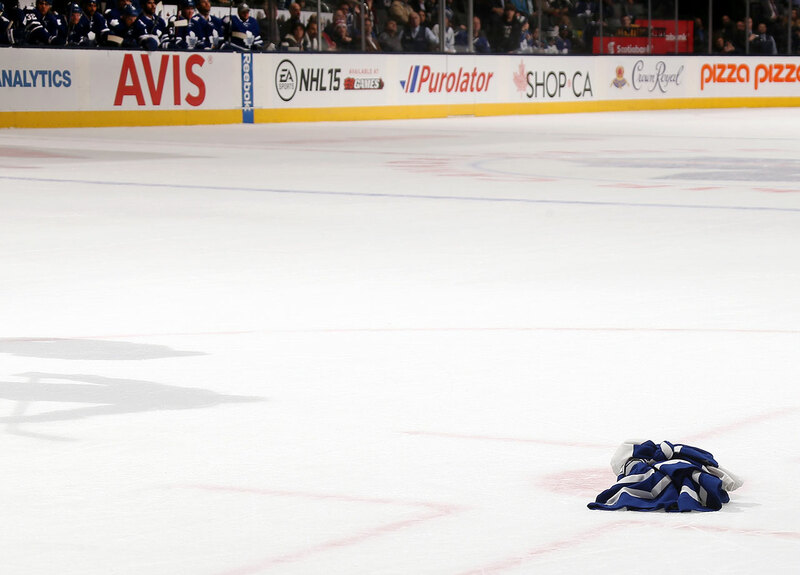 After going 3-13-0 down the stretch to flush their playoff hopes last spring, the Leafs inspired their fans to throw jerseys on the ice during a stumbling start to the 2014-15 season, the early nadir of which was a 9-2 drubbing on home ice by the Nashville Predators that left coach Randy Carlyle squarely on the hotseat. 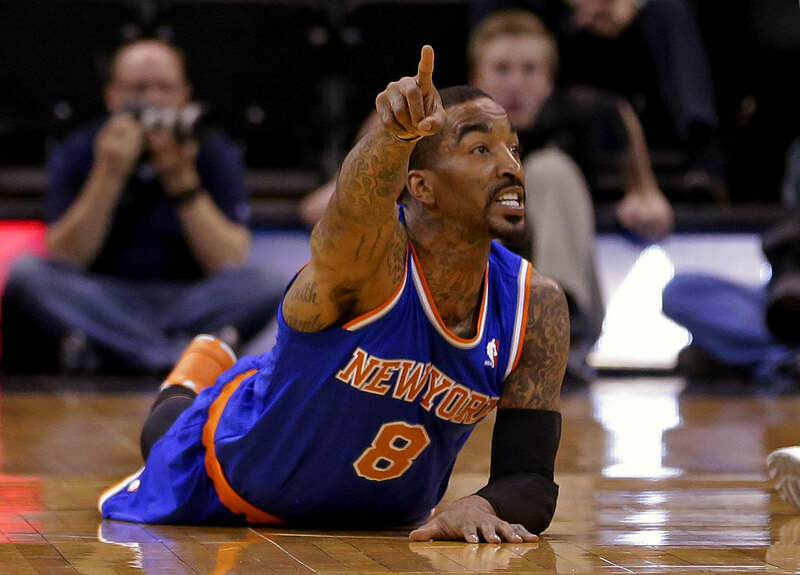 J.R. Smith being fined $50,000 for repeated attempts to untie opponents’ shoelaces epitomized how low this benighted franchise can stoop. After finishing first in the Atlantic Division in 2012-13, the Knicks reverted to form, falling short of the playoffs and getting coach Mike Woodson canned. 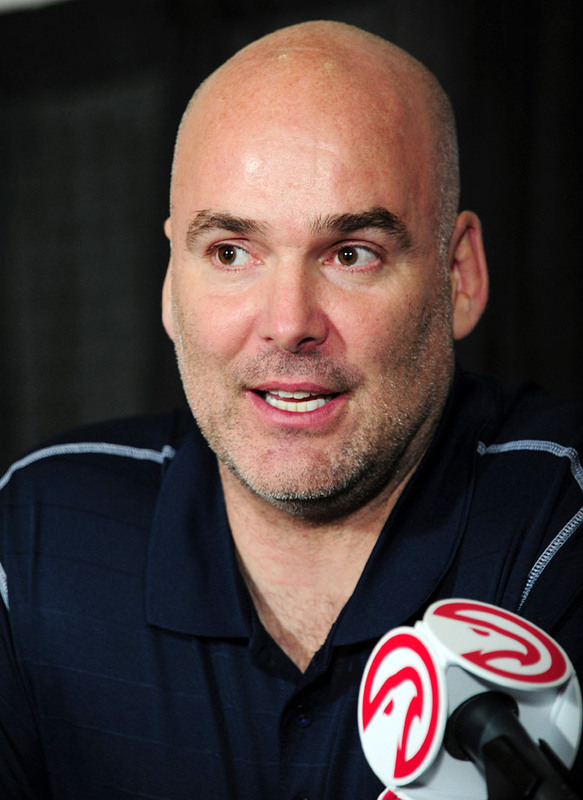 and the franchise cast its lot with Phil Jackson, who was brought in as team president. Now it’s up to team president Phil Jackson to make turkey salad on Broadway. 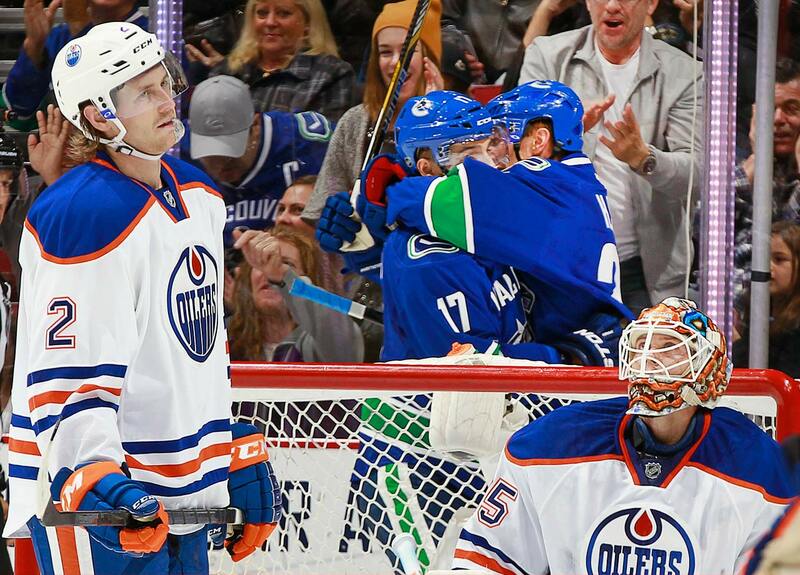 Edmonton’s endless rebuild continued with a ninth straight playoff DNQ followed by a disastrous 6-13-2 start to 2014-15 that left the Oilers mudwrestling in the NHL’s basement with the sad likes of the Buffalo Sabres, Carolina Hurricanes and snake-bitten Columbus Blue Jackets. At least the Oil picked a good year to remain putrid, as the 2015 NHL Draft class boasts franchise-altering talent. Probably won’t help, though. "The Commissioner needed to be fair and consistent in his imposition of discipline," Jones added. The NFL Players Association called the ruling "a victory for a disciplinary process that is fair and transparent." "We respect Judge Jones's decision to reinstate Ray Rice from his indefinite suspension for violating the league's Personal Conduct Policy in an incident of domestic violence," the league said in a statement. Though he has been reinstated, Rice is not currently under contract with an NFL team, having been released by Baltimore after TMZ published a video of Rice striking his then-fiancée in a casino elevator. Rice's two-day appeal hearing ended on Nov. 6. Jones had been reviewing the case since then, before making her ruling Friday. 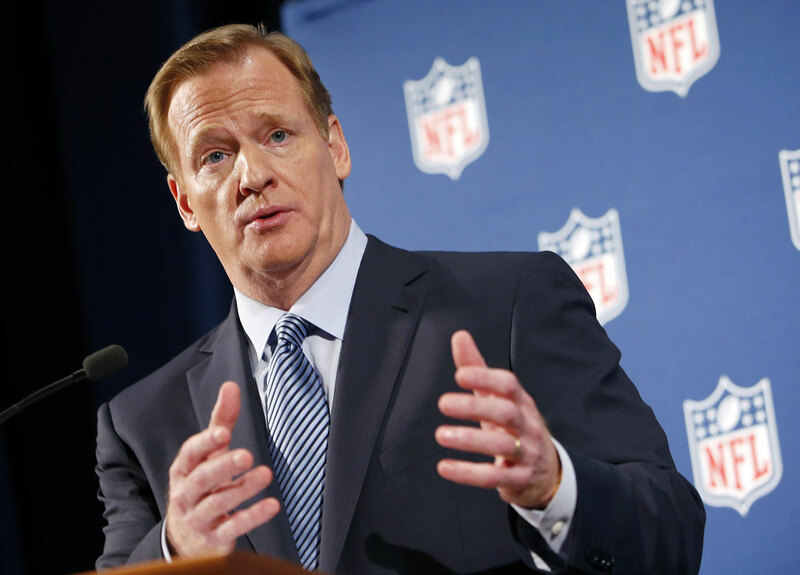 Goodell suspended Rice for two games after he was arrested on domestic violence charges. 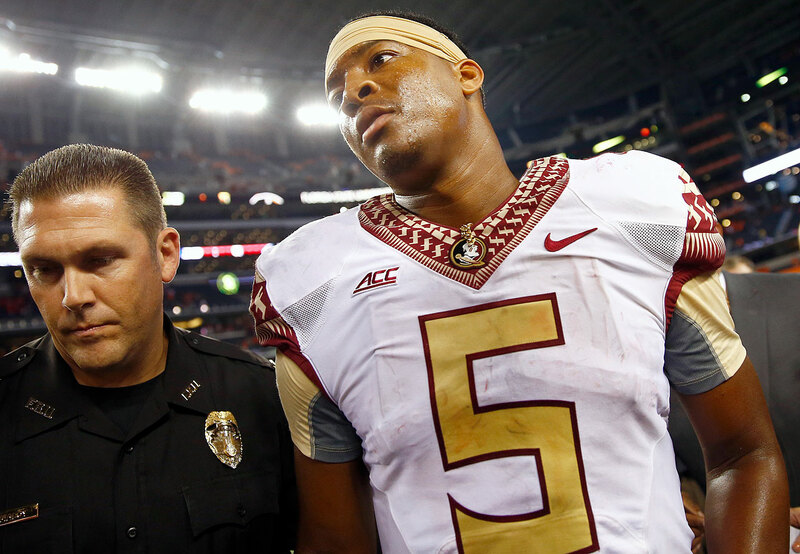 Goodell then suspended Rice indefinitely on Sept. 8 after the elevator video was released. That indefinite suspension has been overturned by the appeal.